Nambe Zen Wine Rack (P/N MT0394). The rack uses Nambe Alloy, our signature metal that polishes to a silver-like luster, and earth-friendly bamboo wood, making this piece a pitch-perfect addition to modern spaces, or a fun note of contemporary flair. Simplicity and balance make the Zen Wine Rack a delight to use. 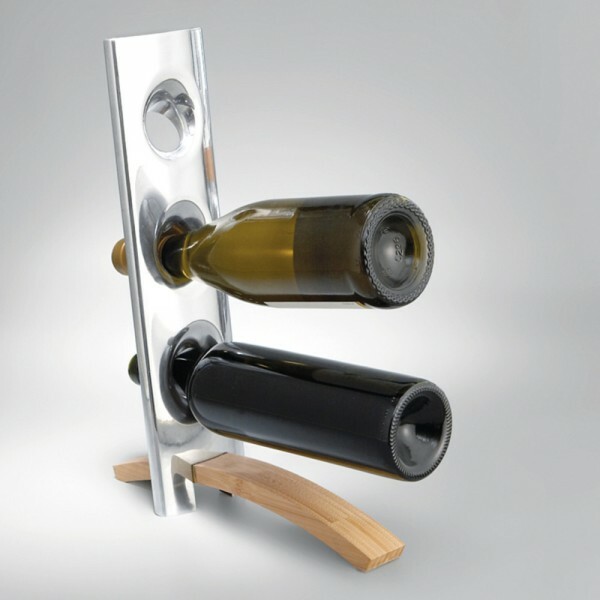 Best of all, the crisp, straight lines of the Zen Wine Rack allow your wines to take center stage.